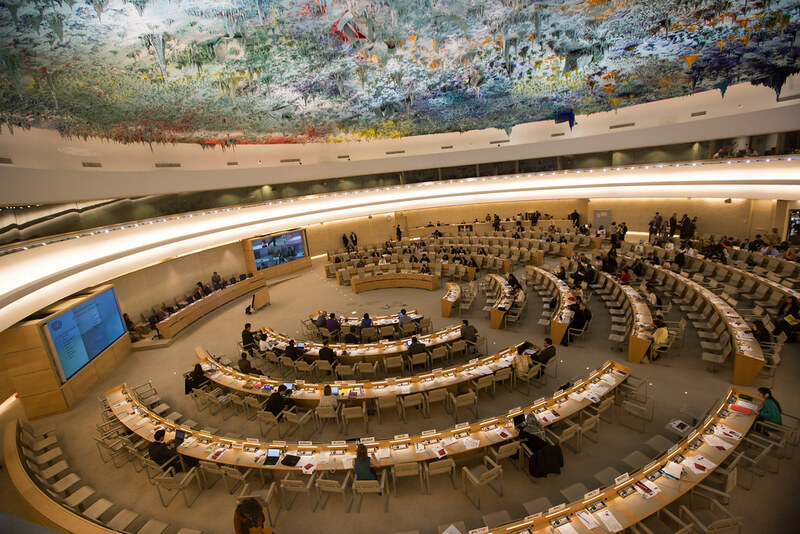 The US withdrew on Tuesday from the UN Human Rights Council in protest of its frequent criticism of Israel’s treatment of Palestinians. The US now joins Iran, North Korea and Eritrea as the only countries that refuse to participate in the council’s meetings and deliberations. The withdrawal comes as the Trump administration faces worldwide condemnation for its decision to separate children from their families at the border. On Monday, Zeid Ra’ad al-Hussein, the United Nations High Commissioner for human rights, called for an immediate end to the practice. German Chancellor Angela Merkel and French President Emmanuel Macron agreed to the broad contours of deeper European integration with a common eurozone budget as the centerpiece. Under the blueprint, a combination of national funds, income from a financial transaction tax and European funds could be used to build a budget, the two leaders said. Merkel said the primary purpose of the budget, which could go into effect in 2021, would be to fund “investments and convergence measures.” Macron said it would also include some form of “governance” — a possible reference to a finance minister. In addition to the budget, the two leaders agreed to push ahead with plans to transform the European bailout fund, known as the European Stability Mechanism, into a European monetary fund. Macron pledged to take back refugees registered in France who try to move to Germany, addressing a key issue for Merkel’s domestic critics. Most US exports to China, with the exception of liquefied natural gas, now face the prospect of a 25 per cent Chinese tariff as part of a second wave of new duties threatened by the Chinese economy ministry at the end of last week. US companies were already being hurt by the escalating trade dispute. The duties on US steel imports imposed by the Trump administration in March have raised costs for energy companies, and the new US tariffs on imports from China cover some products they buy. China could replace barrels lost from the US from sources such as west Africa. However, the “US would find it hard to find an alternative market that is as big as China”, said Suresh Sivanandam, senior manager of Asia refining at Wood Mackenzie. But some observers believe that any pain for US oil companies created by China’s tariffs was unlikely to last. According to Colin Fenton, of Blacklight Research, the US remains a highly attractive supplier because of its stability, and “when cooler heads prevail” China could import 500,000 b/d from the US. While political analysts were quick to declare the end of the G7’s coherence, integrity, and usefulness, markets were unfazed. The longer-term outcome may well prove markets right, albeit with some important qualifications. The major economies of the geopolitical West seem set to engage in a tariff dispute that could escalate into a fill-blown trade war. The G7 had already been challenged by global economic re-alignment, the emergence of the more representative G20, and new forms of regionalism. But G7 infighting will have only a small and narrow impact on growth, especially compared to factors like monetary policy. Markets have been conditioned to postpone significant price adjustments until there is overwhelming evidence of negative economic and financial effects. The G7 has not been dealt a fatal blow; it still can and will play a role on the global stage – albeit a less important one. But that does not mean that the debacle in Canada will be cost-free. At a time of considerable political and social fluidity, destabilizing the remaining anchors represents a risk to the system as a whole.